Kolombo is a man of many monikers and many genres. Over the years he has compiled a discography, with releases on the likes of Kompakt to 2DIY4 and releasing the track, 'My Own Business'. Head honcho of Loulou Records alongside Jérôme Denis, the two curate the label with a firm house policy, while searching for the next big name to take the scene by storm. Kolombo's DJ sets are as diverse as his productions, taking crowds on a house journey wherever he goes. 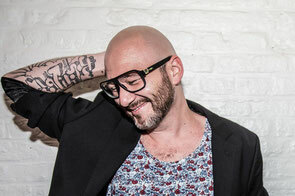 Olivier Grégoire is the producer and DJ from Belgium that plays under the title of Kolombo. Over the years he has experimented with many dance music genres through various pseudonyms, leading to a huge discography that includes releases on some of the world's finest electronic imprints. Under his Kolombo moniker he has had many solid releases and remixes on labels such as Kompakt, 2DIY4, Warung, Noir Music, Turbo, Eskimo, Future Classic, Systematic and Boxer amongst others. Consequently, he is busy touring worldwide, playing his mixture of house and disco and enjoys loyal followings in Brazil, Mexico and Russia. In addition to this he is busy running his own label Loulou Records, together with his partner Jerome, with whom he produces and DJs worldwide as Loulou Players. The label has a firm house music policy with a knack of scouting future talents and gets strong support from the likes of MANDY, Richy Ahmed, Solomun, Ivan Smagghe, H.O.S.H, Wally Lopez and Chlöé. Check out a teaser of his forthcoming EP, ‘Ladies’, below.